Deep cleansing for face and body A rinse-off oil-based cleanser especially formulated for quick and easy removal of high SPF water-resistant sunscreen and foundation. Feels light and silky while protecting skin's natural moisture as it works. Developed to deep cleanse with extreme mildness. Applies easily and rinses away quickly, leaving no feeling of stickiness. To use: Make sure hands, face and body are dry before application. 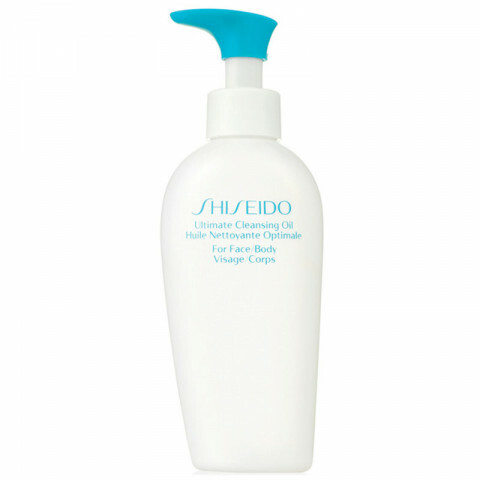 Smooth cleanser over dry skin in circular motions and rinse off thoroughly. DERMATOLOGIST-TESTED. this is an amazing oil cleanser for the face and body. great to use on my sensitive skin and does a good job removing makeup. I use this as the first step in a dual cleanse and it works great at removing makeup and oil. Love it! i really love this product but only as an addition to my other cleanser.